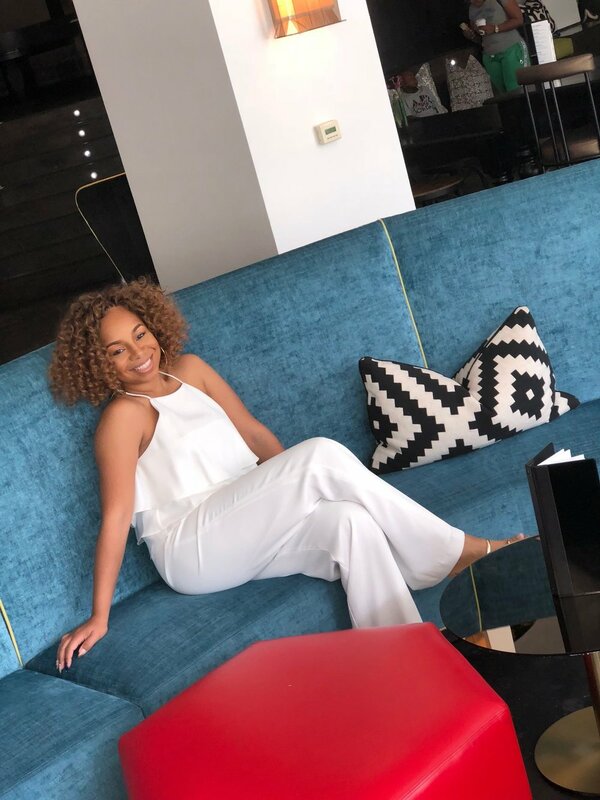 Chanelle is a real estate broker and the founder of VenChi Life, a website that features a real estate and lifestyle blog, as well as listings for homes in the Atlanta area. To start off the interview, do you mind giving us a quick background on how you got to where you are now? Chanelle: I started off in property management; I was in college and I needed a job at the time, so I went to my apartment complex’s office and they had a hiring sign out. I asked if they were willing to hire me even though I had no leasing experience and lived in the community. And boom, I started! I hustled to gain knowledge, became an expert in my position, and progressed pretty quickly from part-time to full-time, becoming a manager soon after. I knew I wanted more from the real estate industry, so I got my real estate license in 2014 and kept progressing from there. Still am! What steps did you take after graduating from college to get to the role of real estate agent from property manager? Is there overlap between the two? Chanelle: Two words…know people. It’s essential to master being a “people person”. I’ve had a lot of coworkers who thought that being a property manager was a matter of sitting behind a desk, signing a lease, and collecting rent, but it’s way more than that. When I became a manager, I would tell my employees that you have to realize that you’re not just managing properties, you’re managing people’s livelihoods. In that sense, there’s definitely overlap between property management and real estate. You also want to be able to dig deep into who you’re working with. Whether it is buyers or tenants, these people are obviously coming to you for a reason, so dig deep when it comes to their needs and be the best at assisting them with meeting these needs. Have you always been a people person, or is that something that you had to develop in yourself? Chanelle: Funny enough, it took quite the transition! When I began in property management, I was a people person. As soon as someone came through the door, I’d say “Hi! How can I help? How’s your day going? !” This threw people off so much that they’d wonder why I was so happy, but for me, it was just part of my job and how I was. As years went by and I started climbing the job ladder, I went from being an extrovert to an introvert because people saw me as the “bad guy”. What I mean by this is that I had to say “no” very often. Many times, in property management, you’re a liaison for two sides (owner and tenant) and are obligated to stick with what’s laid out in the lease agreement. Sometimes, when people come with questions, it’s because they want to figure out ways to get around what the lease says they can’t do. It wasn’t that I wanted to say “no,” I was just following what’s written in the contract. Real estate sales has been a breath of fresh air; I’ve been able to turn over a new leaf and learn how to be an extrovert again. My job was no longer a matter of me delivering bad news. Instead, I began helping my buyers find a future home that met their wants and needs. Building or buying a home isn’t an easy process; it’s not always a pretty process either. However, the end goal is to help my buyers close on what could be their first home, their family home, or the home they retire in—all of which ultimately leads to a happy ending. Relearning how to be an extrovert has helped me remember why I was so excited to help people when I first started in the industry. Are there any other specific kinds of personality traits or skill sets that people going into real estate need to develop? Chanelle: Yes. I would say that you must be willing to read. [laughs] People often sign contracts without reading them. This is unwise, especially when it pertains to responsibilities that you have. Many people don’t read the contract because they don’t understand it, so it’s important to be knowledgeable about what you’re presenting to somebody. And don’t be afraid to further explain things! I believe that an agent must be eloquent as well. For example, let’s say I told you, “For something to work, you have to pull the ropes.” For some people, they may simply be content pulling the rope. However, for others, they’re going to need more explanation. Why do I have to pull the ropes? What happens if I don’t pull the ropes? What are the consequences of not pulling the ropes? Being eloquent, knowledgeable, and transparent plays into trust—when you're selling somebody a home or somebody is giving you their home to sell, they must be able to trust you for many reasons, particularly for your knowledge. Can you tell me more about your plans on a longer-term scale? Sometimes, people decide to move out of their neighborhoods or avoid moving to a neighborhood because they believe that the neighborhood doesn’t have much to offer. I live in Atlanta, where Midtown is a hotspot because of all the restaurants and shopping and what have you. What people fail to realize is that they can find the same things in one of Georgia’s sub-cities like Chamblee or Smyrna. They just have to dig deep and find it! That’s where I’m hoping VenChi will tie in. Do you see VenChi growing into its own business? Or is it something that you see primarily as a way to supplement what you’re currently doing? Chanelle: I see it growing into its own thing, but I’m not yet sure what that thing will be. Right now, it's really working hand in hand with what I'm currently doing. What I love about the developer that I'm working for is that they promote this. To them, what’s important is for me to create as many opportunities as possible to run a successful business and get my name out there. After all, at the end of the day, selling homes is my business, and these are my clients. So do I perceive myself doing real estate for a while? Absolutely! This field is new to me, so I’m going to gain as much knowledge as I can. I’m not in traditional sales right now; I work with homes in the process of being built. I’m the type of person who likes to know the ins and outs, from the very basic terms to the most technological terms. Having VenChi on the side coincides well with this! I’m just waiting to see where it goes from here; I can only be positive about it based on how everything has taken off so far. I have followers who have questions from amazing places like the United Kingdom, Canada, and all over the United States. I would love to be able to expand VenChi outside of Atlanta and watch it grow! Where did the name VenChi come from? Chanelle: This is quite a story! When I was in property management, I would call my mother to vent about the different things that were going on. One day, I was very upset and she joked with me and said, “Cool, okay, vent session is over and now it’s time for some chi.” I just put the two (Ven and Chi) together and it became a thing. When I was developing my website, I did some research for the name and it turns out that there’s a chocolate and gelato company in Italy called Venchi; I actually found a Venchi gelato stand when I was in Singapore for my honeymoon! I told my husband, “I have to try this gelato because it’s a sign that VenChi Life has to be!” [laughs] That’s how it all came about. What’s been the most rewarding part of what you do? What makes you excited to get up in the morning and go to work? Chanelle: Every day, I’m learning something different and meeting different people. I left property management because I became complacent and unhappy—I was a senior manager who’d accomplished a lot in the span of nine years, and I just felt unmotivated. I knew I always wanted to do something more in real estate, I just didn't know what exactly that something was. I have a few girlfriends who are real estate agents as well, and they suggested that I give sales a try. I also gain stories from people about why they’re dissatisfied with their house and I can turn this dissatisfaction into satisfaction for their future. My very first sale was eye-opening for me because it wasn't just a matter of getting the contract signed. It was a process in which I had to bring a vision to life with questions like, “For Christmas, where do you think you'll put your Christmas tree?” It was sharing this vision with people as to how they're going to make their house a home, what their family and friends may think of it, and what the next five years could look like in this home. I’d created this link and didn’t even realize it until they invited my husband and me over for their first Christmas in their new home. That had a major impact on me—I no longer manage lives, now I help build lives—and it’s just an amazing feeling altogether.